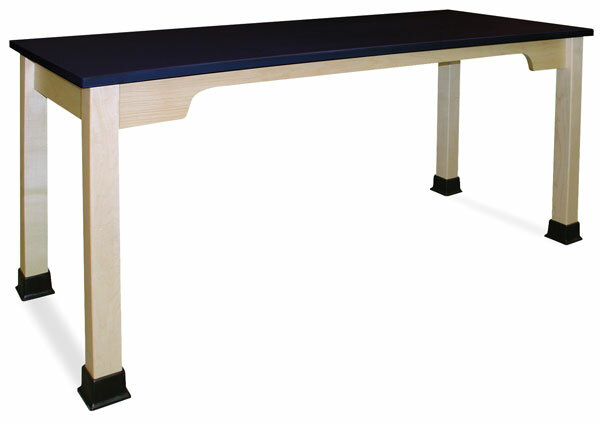 The scalloped apron of this table allows for a full 27" (69 cm) clearance, making it wheelchair-accessible and compliant with the ADA (Americans with Disabilities Act). Adjustable glides ensure that the work surface is stable. Black boots protect the legs and provide a clean, finished look. Each table is 30" (76 cm) high and constructed of solid wood for long life and durability. Chemsurf Top — The Chemsurf surface is a chemical-resistant laminate.